Cretan Mom has her honor on our new TV spots. She knows to pick the best produckts for her children!! We greatly thank Eyeq TV Productions for the creation, editing and production of our two spots. 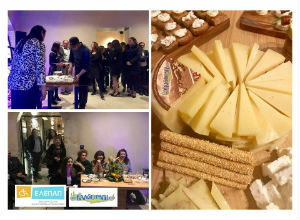 The New Year's Cake was celebrated by ElEPAP Chania Branch in a well-known hotel in the city of Chania. The event included tasty suggestions made from Cretan Cooking Classes Chef. He made delicious recipes from cheese that Kalogeraki Company gave as a present for the event. Kalogeraki SA was one of the great donors who contributed to the wonderful evening. All the money collected from the event will be made available for the needs of ELEPAP. 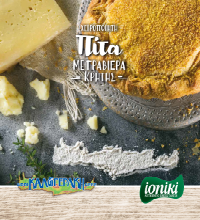 Kalogeraki Cretan cheeses and "Ioniki authentic Greek tastes " with the finest quality of frozen dough products and puff pastry are joining today's forces to offer you the unique Hand-made Pie with Cretan Graviera Cheese Kalogeraki! 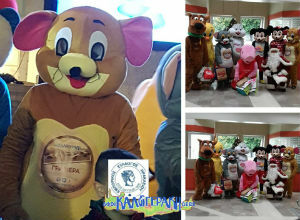 Member of Disney team ... of Heraklion Trade Association became KALOGERAKI COMPANY, spreading joy to the whole city! The choreography for the creation of two of the heroes took place in the framework of the 2017 Christmas events. The group visited hospitals, sang the carols in various corners of the city and smuggled smiles to young and old with songs and dancing at events throughout of celebrations. Kalogeraki company always tries to support our place! 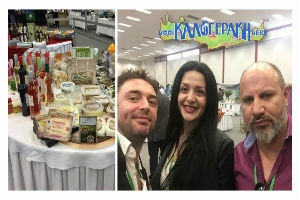 Kalogeraki Company, was at the Greek Panorama exhibition held in Warsaw, Poland. 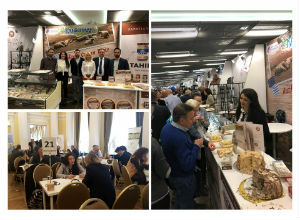 The company has also attended business meetings organized by discussing with plenty of Polish businessmen who expressed interest in her products. We are always committed to our philosophy. Its main pillar is the transmission of Cretan culture and the spread of Cretan cheeses across borders. 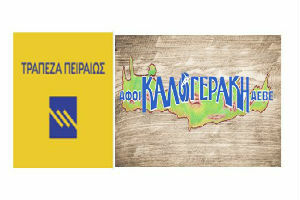 Cretan products travel and we are happy for the great acceptance they receive. 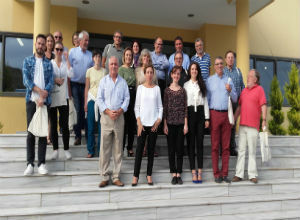 PIRAEUS BANK and KALOGERAKI BROS SA announce their collaboration within the framework of the Contract Livestock Program, aiming at the immediate and active support of all the stakeholders in the primary production process and the strengthening of the production of traditional dairy products of high quality. The agreement for Contract Livestock, concerns an integrated financing proposal and certifies Piraeus Bank's firm will to support the rural enterprise iv and encouraging any healthy and productive effort in the primary sector of the economy.